The GLE-Class can get expensive in a hurry. We'd opt for the more efficient turbodiesel powertrain before adding on many goodies. The M-Class gets a new lease on luxury-crossover life as the 2016 Mercedes-Benz GLE-Class—and it's joined by a swoopy new Coupe variant. With the introduction of the GLE Coupe, the GLE-Class is now more closely aligned with the X5 and X6. The GLE-Class has a revised instrument-panel design, new trims, and some new exterior details, including a front-end design that corresponds closely with the direction of other new models from the brand. Features and options have also been revamped, and a new plug-in hybrid model joins the lineup, along with finessed, high-performance Mercedes-Benz GLE (and GLE Coupe) 63 AMG and GLE63 S AMG models. Most utility vehicles will be labeled with GL plus the letter of the Mercedes sedan that's closest in size—thus GLE, for the vehicle that's been known as the M-Class or ML. 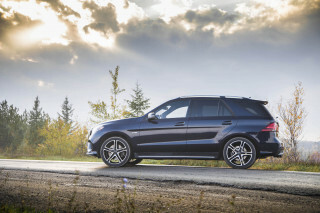 The BlueTec label is replaced for diesels with a "d," while Hybrid models get an "h"—and plug-in hybrids, an "e." All of those letters come into play with the new GLE-Class, which comes not just in both body styles, but with a range of powertrains that stretches from a turbodiesel inline-4, a plug-in hybrid, a twin-turbo V-6, and a storming turbocharged V-8 AMG edition. Across the board, the GLE-Class gets more emphatic front-end styling, as well as larger wheels and metal side steps, and LED lighting. The new front-end appearance has a more drawn-back air dam, chunkier grille, and sculpted fenders, and it carries into all the new GLE models, not just the GLE Coupe. Cabin appointments in the GLE have received a modest refresh as well, to take on all the infotainment elements familiar from the C-, E- and S-Class models. New trim options include carbon fiber and new woodgrain finishes, while the center console houses the COMAND controller and touchpad. A large display screen sits proud atop the center stack, a Matterhorn of mobile connectivity. The GLE-Class lineup offers some of what's familiar, as well as a step or two in a sportier and a greener direction. The lineup includes a turbodiesel based on the current E-Class powertrain: it’s a 2.1-liter inline-4 rated at 201 horsepower dubbed the GLE300d. 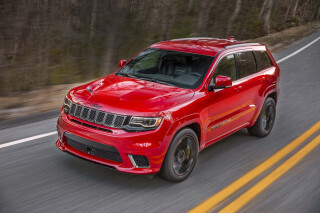 There’s also the normally aspirated GLE350 (3.5-liter V-6, 302 hp, rear- or all-wheel drive), and the all-wheel-drive GLE400 (3.0-liter twin-turbo V-6, 329 hp). 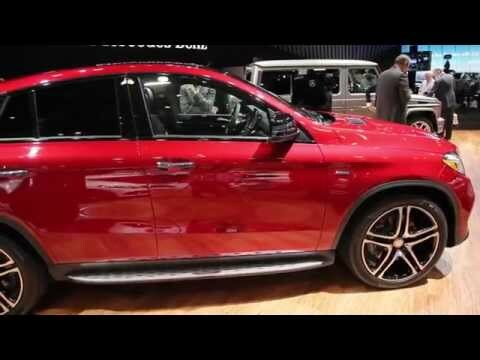 All of these mainstream GLE models get a 7-speed automatic. A plug-in hybrid GLE550e mates a 329-hp, direct-injected 3.5-liter V-6 with a hybrid module of 114 hp net output, for a total output of 436 hp and up to 19 miles of electric driving. The plug-in GLE also has four driving modes ranging between all-electric and hybrid, as well as battery-saving and charging modes. Recharging its 8.8-kwh battery on a 220-volt charger takes about two hours. The 5.5-liter twin-turbo V-8 in the Mercedes-Benz GLE63 AMG, offered in an additional S trim, is rated at 550 hp or 577 hp, and comes with the 7-seed automatic. Acceleration to 60 mph happens in as few as 4.2 seconds, and top speed is set at 155 mph. In the GLE Coupe, there are only two powertrains earmarked for the U.S. The Mercedes-Benz GLE450 4Matic wagon has a twin-turbo V-6 and is rated at 362 hp and 384 lb-ft, with a 9-speed automatic. A Mercedes-Benz GLE63 AMG S Coupe 4Matic has specs like those of the wagon-back GLE, with 20-inch wheels standard. In the GLE, Individual, Comfort, Slippery, and Sport drive modes are configured for the best traction in that given situation, with modes now controlling chassis, steering, powertrain, and suspension settings, as well as engine sounds. Performance-oriented AMG models add a Sport+ mode, while other versions with an off-road package get an Offroad+ package along with a reduction gear and locking differential, as well as an extended-range air suspension with maximum ground clearance of up to 11 inches and fording depth of 23 inches. The Mercedes 4Matic system will again provide an even torque distribution of 50/50 between the front and rear axles (the AMG version has a rear-biased 40/60 setup), or nearly all torque to the wheels that can use it best for traction. Tow ratings are as high as 7,700 pounds. Six-cylinder GLEs roll on steel springs with conventional dampers, while top models offer Mercedes-Benz's first suspension in a utility vehicle to combine air springs with continuous damping (the Airmatic and Active Damping systems will be an option on the V-6 GLE). Active anti-roll bars are also available; they’re standard on AMG models. Ride quality in all of these models is excellent—with quite a difference between Comfort and Sport modes. This year’s cabin refresh hasn’t significantly changed interior space or functionality. As you might expect in a Mercedes-Benz, the GLE has excellent seats—well-contoured and soft, yet all-day supportive. Mercedes made considerable advances in refinement and materials with its sedans in recent years; and with the last full redesign it brought many of those improvements to the M-Class. There's space for taller adults in the second row, too, although getting three across isn’t completely comfortable. You can, however, adjust the rear seatbacks, and even with them up and in place there's more than 36 cubic feet of cargo space behind them. The new GLE Coupe models offer a sportier, more low-slung look, thanks to their downward-arcing roofline; but you’ll pay a bit of a price in practicality. Coupe models still manage to deliver decent practicality in terms of leg room and ease of entry, although it’s deficient in head room—to the degree that 6-footers on up will find their head making contact with the (already carved-out) headliner. Across the whole lineup, the ride is quiet and refined, although engine noise, even in its quieter Comfort mode, might be too ever-present for some drivers of twin-turbo GLE450 V-6 models. The M-Class's strong reputation and active-safety features carry over into the GLE-Class, with some new ones as well. 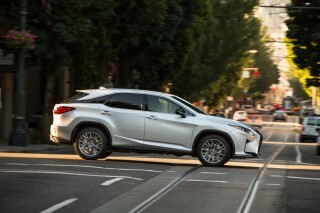 Active cruise control with steering assist is available, as well as blind-spot monitors and lane-keeping assist. The ML’s excellent ratings by the IIHS have carried over to the GLE—including a Top Safety Pick award—but the NHTSA's ratings have yet to be restated. Some new features have been announced for the GLE. A Comfort package includes a power tailgate, soft-closing doors, and a rearview camera. a Parking package gets surround-view cameras and parking assist. An AMG Line appearance package puts on 20-inch wheels and MB-Tex upholstery, with Nappa leather an option; a Night package blacks out much of the trim and fits 20-inch black gloss wheels. Finally, the new GLE can be outfitted with COMAND infotainment and connectivity, displayed on an 8.0-inch screen. 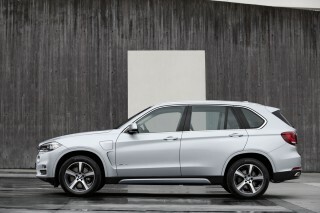 Harman Kardon and Bang & Olufsen audio systems are on the list, as is a rear-seat DVD entertainment system. AMG editions get their own content, including aluminum trim, perforated sport seats, an AMG steering wheel, and AMG badging and trim. The 2016 Mercedes-Benz GLE has an updated cabin and sportier details throughout—as well as a sportier GLE Coupe variant. The 2016 Mercedes-Benz GLE-Class gets a new name, but design-wise, the core models in this lineup carry over with a refresh that brings it all in line with the latest design direction of the brand. In the scope of this mid-size SUV’s trajectory, the GLE is a minor mid-cycle evolution of the existing look of the M-Class that’s been around since the 2012 model year. In the current generation, Mercedes-Benz brought a far more refined look and feel to this rugged utility vehicle, including a wider, more road-oriented stance and somewhat more car-like look. On the outside, the changes to the GLE-Class are most noticeable from the front, where the GLE gets more emphatic front-end styling. The new front-end appearance has a more drawn-back air dam, chunkier grille, and sculpted fenders, and it carries into all the new GLE models, not just the GLE Coupe. The GLE Coupe is the new model in the lineup, and a dramatically different interpretation of what a mid-size utility can be. While the "coupe" label might be a little bit misleading, the GLE Coupe has a roofline that, instead of extending mostly level to behind the rear seats, follows what looks like the arc of a French Curve to the rear of the car, where there’s a lipped spoiler built into the hatchback. Side-body styling near the rear of the vehicle is softer and more organic to match; but what it all adds up to is equal parts chunky five-door fastback and very low-set SUV. Across all of these models, Mercedes has introduced a more rounded yet more imposing grille and airdam design. From the side, larger wheels and metal side steps help bring the GLE a dressed-up look, while LED lighting establishes a modern look. As for standard GLE-Class models, they’re just a bit generic in back, but handsome and more formal. All models get rectangular exhaust outlets and lower rear details that amp up the look somewhat. Inside, the GLE-Class models haven’t changed radically, but they get a series of details that helps align these SUV models with recently redesigned models like the new S-Class and C-Class sedans—as well as the smaller CLA and GLA models. Freestanding infotainment screens, revamped sport seats, and newly styled, somewhat smaller steering wheels all help establish a somewhat sportier ambiance for the lineup. The center console houses the COMAND controller with the touchpad fitted above in an optimum ergonomic position, and the trim options include carbon fiber, wood and synthetic leather. The 2016 Mercedes-Benz GLE-Class spans a wide range of performance setups—including new GLE Coupe models and the riotous ML63 AMG—and most of them deliver exactly what they promise. The GLE-Class lineup offers some of what's familiar, as well as a step or two in a sportier and a greener direction. Meanwhile—at least for now—the new 2016 Mercedes-Benz GLE Coupe is offered only in some of the highest-performance versions of the lineup. In the GLE-Class, the lineup includes a turbodiesel based on the current E-Class powertrain: it’s a 2.1-liter 4-cylinder rated at 201 horsepower dubbed GLE300d. Acceleration from 0-60 mph is estimated at 8.9 seconds. It’s not as smooth-sounding as some might expect from a Mercedes-Benz, but if wafting up to speed easily (without downshifts) on the highway, cruising effortlessly near triple digits, and getting fuel mileage that won't place a frown on the faces of your more earth conscious friends are all priorities, you'll find this model the best fit, too. The other base engine is a gasoline V-6 engine—the brand's latest 3.5-liter, 60-degree V-6, which we think is one of the best V-6 luxury engines. It's rated at 302 hp and 275 pound-feet of torque, and while there’s no turbo here, this engine has a nice, even powerband that makes it feel sprightly from a standing start or when pressed to pull off a quick pass. In all of the normal GLE models, there’s a 7-speed automatic transmission. The V-6 works especially well in concert with the 7-speed automatic transmission and sings all the way up the rev range with no rough edges. All-wheel-drive GLE400 (3.0-liter twin-turbo V-6) 4Matic models deliver 329 hp and can accelerate to 60 mph in 7.5 seconds. The 5.5-liter twin-turbo V-8 in the Mercedes-Benz GLE63 AMG, offered in an additional S trim, is rated at 550 hp or 577 hp, and comes with the 7-speed automatic. Acceleration to 60 mph happens in as few as 4.2 seconds, and top speed is set at 155 mph. 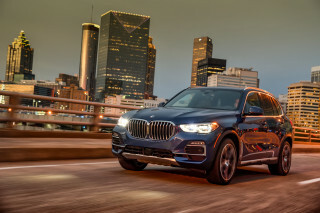 While it’s not quite as outrageous as the X5 M in terms of seat-of-the-pants thrills, it offers an experience that may push your buttons more often in straight-line performance situations. In the GLE Coupe, there are only two powertrains earmarked for the U.S. The Mercedes-Benz GLE450 AMG 4Matic Coupe has a twin-turbo V-6 and is rated at 362 hp and 384 lb-ft, with the new 9-speed automatic, which we found to perform flawlessly. A Mercedes-Benz AMG GLE63 S Coupe 4Matic has specs like those of the wagon-back GLE, moving back to a 7-speed automatic, and with 20-inch wheels standard. The Mercedes 4Matic system again provides an even torque distribution of 50/50 between the front and rear axles (the AMG version has a rear-biased 40/60 setup), or nearly all torque to the wheels that can use it best for traction. Tow ratings have been as high as 7,700 pounds—a figure that, while not yet finalized for the new models, we expect to see carried over. Separately, there’s a plug-in hybrid GLE550e model that mates a 329-hp, direct-injected 3.5-liter V-6 with a hybrid module of 114 hp net output, for a total output of 436 hp and up to 19 miles of pure electric driving. The plug-in GLE also has four driving modes ranging between all-electric and hybrid, as well as battery-saving and charging modes. Recharging its 8.8-kwh battery on a 220-volt charger takes about two hours. While the GLE550e offers fast and strong performance, its powertrain doesn’t feel quite as perfectly coordinated as the rest of the lineup. While it can deliver a system torque of 479 lb-ft, you’ll need to switch the controller over to the Sport setting to make the best of it. Based on rather brief first-drive opportunities, we’ve found that the GLE still manages to perform remarkably well on the road, considering its rugged ability set. 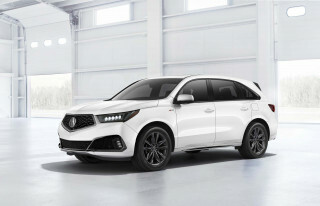 Six-cylinder GLEs will roll on steel springs with conventional dampers, while top models offer Mercedes-Benz's first suspension in a utility vehicle to combine air springs with continuous damping (the Airmatic and Active Damping systems will be an option on the V-6 GLE). Active anti-roll bars are also available; they’re standard on the AMG models, which offer even more impressive roadholding albeit with some apparent sacrifice in ride (it’s simply busier, with more tramlining and less-relaxed straight-line stability). In the GLE, Individual, Comfort, Slippery, Sport and Sport+ modes are configured for the best traction in that given situation, with modes now controlling chassis, steering, powertrain, and suspension settings, as well as engine sounds. Steering tends to involve more small adjustments than we’d like in Comfort mode, while Sport mode actually feels settled and more relaxed. Performance-oriented AMG models add a Sport+ mode, while other versions with an off-road package—not popular, by any means, but still available—get an Offroad+ package along with a reduction gear and locking differential, as well as an extended-range air suspension with maximum ground clearance of up to 11 inches and fording depth of 23 inches. The 2016 Mercedes-Benz GLE-Class leaves the third row to the larger upcoming GLS crossover and packs in the luxury ambiance—but the second row in Coupes isn’t quite a prime comfort zone. Inside, the GLE-Class’ accommodations haven’t changed much versus last year’s M-Class—which is a good thing. 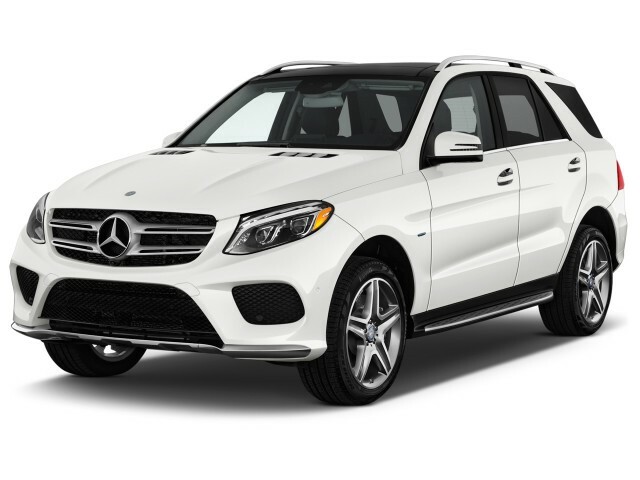 The 2016 GLE-Class is a luxury vehicle above all else, and materials, ride quality and comfort are superb across the board. This year’s cabin refresh hasn’t significantly changed interior space or functionality. As you might expect in a Mercedes-Benz, the GLE has excellent seats—well-contoured and soft, yet all-day supportive. Mercedes made considerable advances in refinement and materials with its sedans in recent years; and with the last full redesign it brought many of those improvements to the M-Class. GLE450 AMG models and GLE Coupe models get more aggressively bolstered seats, while full-fledged AMG sport seats keep you even more snugly in place in Mercedes-Benz GLE63 AMG models. There's space for taller adults in the second row, too, although getting three across isn’t completely comfortable. You can, however, adjust the rear seatbacks, and even with them up and in place there's more than 36 cubic feet of cargo space behind them. 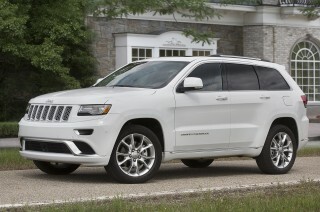 Tight, quiet, and isolated are key descriptors of the way the GLE rides—although there are a few exceptions. The standard suspension provides good comfort but also responds well when you push it in corners. There's a rather wide difference between modes with the available air suspension and adaptive damping system. Although Comfort provides more of a traditional luxury-car ride, Sport allows a crisper feel at turn-in, with only a slight bit more harshness. The new GLE Coupe models offer a sportier, more low-slung look, thanks to their downward-arcing roofline; but you’ll pay a bit of a price in practicality. Coupe models still manage to deliver decent practicality in terms of legroom and ease of entry, although it’s deficient in head room—to the degree that 6-footers on up will find their head making contact with the (already carved-out) headliner. That said, the GLE offers nearly as much cargo versatility, as we see it. Unless you plan to stack cargo at the far rear of the vehicle—where it would impair visibility anyway—you’re really not giving up much functionality, as GLE Coupe models still offer a pretty low, long, and wide flat cargo floor. Thanks to much-improved aerodynamics with the GLE—and a spoiler at the trailing edge of the roof—the interior is noticeably quieter than prior versions, as well as most other utility vehicles with this kind of profile. The level of engine noise in steady-state cruising is, however, higher than some luxury buyers will want—especially in GLE450 models. The GLE-Class has a number of standout active-safety features, and its predecessor, the M-Class, has had top-tier crash-test ratings. The predecessor to the GLE-Class was the Mercedes M-Class—and like most Mercedes-Benz products, the M-Class had a very strong safety record for years, with technologies and design going above and beyond federal requirements. Federal officials haven't yet rated the GLE-Class, but they gave the M-Class last year its top five-star rating, with five stars in two categories and four stars in the rollover test. The GLE-Class carried top "Good" ratings in all crash-test categories from the IIHS and has earned a Top Safety Pick designation by the agency. The GLE-Class lacks advanced front crash mitigation technology, which puts it behind some others in the class including the Acura MDX and Volvo XC90. The GLE-Class packs a few active safety features though. Attention Assist, which keeps tabs on driving style to help identify the signs of drowsy driving—triggering a coffee-cup icon and some warning beeps—is a standard feature on all GLE-Class models. The available Distronic Plus adaptive radar-based cruise control is one of the most sophisticated and unobtrusive systems of its kind on any vehicle—capable of coming to a full stop with traffic and restarting, and potentially reducing fatigue. Forward collision warnings, lane-keep assist, and blind-spot monitors all provide the sort of alerts that might make a split-second difference in accident avoidance.There's also a frontal collision prevention function, which uses radar to warn the driver if they're approaching a vehicle too quickly and can ready full braking power from the moment when the driver hits the pedal. The GLE-Class also features a full complement of air bags, including driver and passenger front and side airbags, curtain air bags for both rows, and a driver's knee air bag. A rearview camera is optional, as is the surround-view camera system, which shows an overhead view of what's around the vehicle for true parking ease. Mercedes-Benz allows you to add as much additional luxury and tech items as you want—at a corresponding premium. The 2016 Mercedes-Benz GLE-Class offers a wide array of models, from the efficiency-minded GLE300d to the extravagant, uproarious GLE63 AMG. The range in starting prices of those respective models—between $52,025 to $108,025—serves to demonstrate that these models cover some very different expectations of luxury. Across the GLE and GLE Coupe lineup, these models can be equipped the kinds of options found in the brand's flagship S-Class sedan. And depending on which of the option boxes you check, the GLE can offer an experience that ranges from refined and well-equipped to downright luxurious. Even the standard of equipment on entry models is rather extensive, however. All models include power heated front seats, auto-dimming mirrors, a power steering column, keyless ignition, a new larger color display, Dynamic Select modes, and a power liftgate. Some of those items are a step up in rival models. MB-Tex vinyl seating surfaces are standard on most models, with leather as an option. 2016 Mercedes-Benz GLE Coupe models are a huge step up, pricing-wise, and they only come equipped in GLE450 AMG 4Matic and GLE63 S 4Matic trims for the U.S., but the standard-equipment list is superb, with a Sports Direct-Steer system, Airmatic air suspension with continuously variable damping, the Active Curve System with active roll stabilization, Magic Vision Control, Collision Prevention Assist Plus, AMG sport seats, and a Nappa leather three-spoke steering wheel. the GLE63 AMG editions get their own content, including aluminum trim, aggressively bolstered, perforated sport seats, an AMG steering wheel, and AMG badging and trim. The new GLE can be outfitted with COMAND infotainment and connectivity, displayed on an 8.0-inch screen. Harman Kardon and Bang & Olufsen audio systems are on the list, as is a rear-seat DVD entertainment system. New additions to the GLE lineup—versus what’s been offered before on the ML—include a Comfort package includes a power tailgate, soft-closing doors, and a rearview camera. a Parking package gets surround-view cameras and parking assist. An AMG Line appearance package puts on 20-inch wheels and MB-Tex upholstery, with Nappa leather an option; a Night Package blacks out much of the trim and fits 20-inch black gloss wheels. Other features that are available include ventilated front seats, heated rear seats, soft-close doors, a panorama sunroof, heated/cooled cupholders, and satellite radio. A Premium 1 Package now brings navigation with map upgrades for three years, plus other things such as a rearview camera system, a lane-tracking package, and Keyless Go. There’s also an Advanced Park Assist system, which helps steer the vehicle back into a parallel-parking space as the driver controls the accelerator and brakes. An Off-Road Package remains available on the GLE-Class models—although not on the GLE Coupe—and it includes a host of serious upgrades that increase this model’s trail ability and toughness. Mercedes-Benz says that a very small percentage of U.S. buyers opt for this package, though. Although it has been continuously refined over the years, we're still not all that enthused about M-B's COMAND screen-based interface, which includes a rotary/button controller, placed just ahead of the driver's right-hand armrest—as well as a corresponding capacitive pad that will allow you to trace letter in some instances. Mercedes uses the system instead of a touchscreen in the belief that it's less distracting than poking at a display, which we generally agree with. But there's simply too much looking at the screen required—even once you begin to remember the menu system. The 2016 Mercedes-Benz GLE-Class adds a plug-in hybrid, but the most fuel-efficient engine for us may be the turbodiesel GLE300d. The 2016 Mercedes-Benz GLE lineup has significantly changed, yet its EPA ratings follow closely the model it was derived from, which was last year's M-Class. 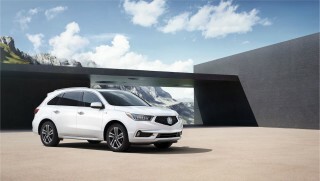 The addition of a plug-in hybrid and a diesel version offers good options for "green" buyers looking to purchase an SUV. The base, GLE350—with a 3.5-liter V-6 mated to a 7-speed automatic—boasts 18 mpg city, 24 highway, 20 combined, which is similar to last year's ML350. Adding all-wheel drive (AWD), which Mercedes-Benz calls "4Matic," drops those figures to 17/22/19 mpg. The efficiency leader will be the diesel-powered models, starting with the AWD-only GLE300d 4Matic, which is rated at 22/29/24 mpg. A GLE550e 4Matic plug-in hybrid model will join the lineup this year, and its combination of 329-hp V-6 and 114-hp electric motor system add up to a system output of 436 hp and 479 pound-feet of torque. We expect this model’s city and highway ratings to both land in the low-to-mid 20s, and while it won’t be as solid of an efficiency pick as the diesel for highway driving, its 19 miles of all-electric driving should make it the smart pick of the lineup for those who mostly make short trips around town. Finally, there’s the Mercedes-AMG GLE63 and GLE63 S. Those models manage 13/17/15 mpg, according to the EPA. This year's Mercedes-Benz GLE Coupe models—only offered in twin-turbo gasoline V-6 and V-8 versions for now—will likely factor in close to their GLE counterparts. Not much to say, it's a MB. The Three Pointed Star is still Shining Brightly! It doesn't pretend to be a sports car! Not quite as comfy as the ML I had before. Do not like the black interior that came with the saddle color interior. Di not like the black grillwork on the front. Do not like the sport package. I miss my 2013 ML! Looking for a different year of the Mercedes-Benz GLE Class?